WANDERLUSTRIC: 10 Songs to inspire your wanderlust. 10 Songs to inspire your wanderlust. Music is one thing that everyone can relate to. Whether it's to inspire, trigger, motivate or even to calm. I have a playlist for everything. Literally everything, from when the world gets infested with flesh eating zombies to acoustic study music. My wanderlust playlist however, was too good to not share. I hope that these songs provoke the travel bug inside of you and please let me know in the comments if they did! But do not tell me all is fineWhen I lose my head, I lose my spine"
But hold her down with soggy clothes and breezeblocks"
"On the sea, on the sea and land over land. And she's been living on the highest shelf"
where they’re far more suited than here"
And you've got the music, you've got the music in you, don't you?" "Drunk in a field of scarlet snow I reconciled with your ghost In april "
Wait for me to come home"
Jump right in and swim until you're free"
1. Ends Of The Earth. I guess I'm goin' alone"
There you go! 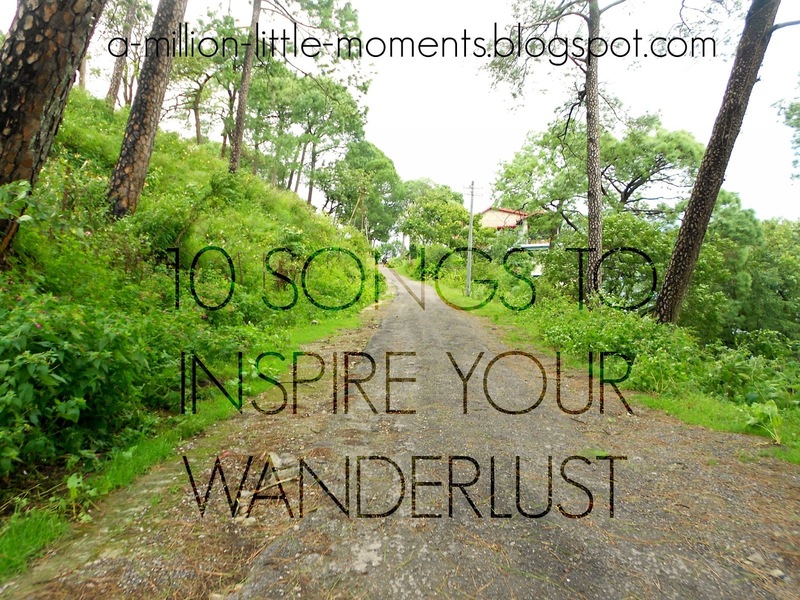 My top 10 favourite songs to inspire my wanderlust. I have a million (haha) more and I find new ones every single day so if you want more like this then leave a comment below and I promise that i will write it! Please do leave us comments you have no idea how much it means to us, it motivates us so much and it only takes a a second to write.